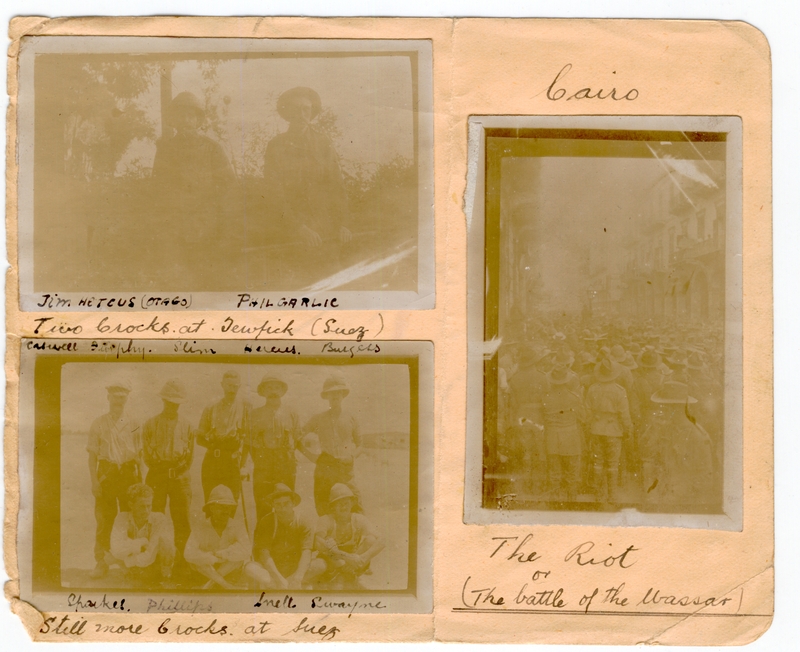 068 Photos: Cairo – The Riot or The Battle of the Wazzir, Two Grocks at Jewfick (Suez), Still More Grocks at Suez | ANZAC Scrapbook of James Shanahan "Amy"
ANZAC Scrapbook of James Shanahan "Amy"
Still More Grocks: Caswell, Jimphy?, Slim, Hercus, Burgess?, Charles?, Phillips, Snell, Dwayne? 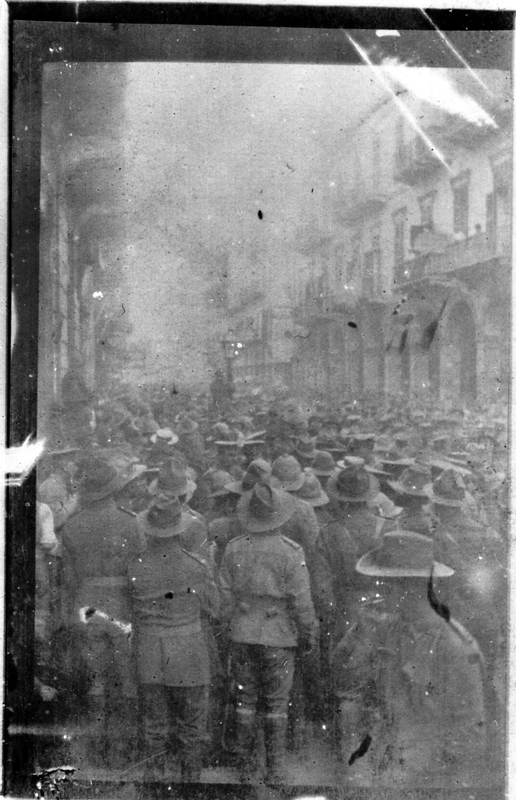 This entry was tagged #anzac, #Cairo, #riot, #Wazzir. Bookmark the permalink. To Get to the Start.